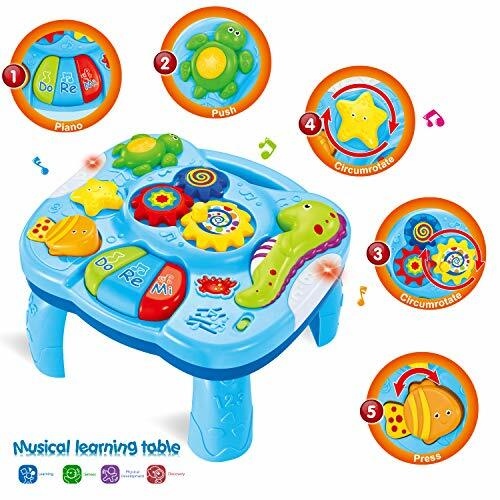 ♬【LEARNING & EDUCATION】Baby Toys 6 to12 Months up ,Lights up and allows for free play,classic melodies,and introduces baby to colors.The learning table also have DO,RE,MI,which is a simple start and simple experience of music.Colorful image and beautiful voice can draw kids’attention to learning.Explore sounds,songs and instruments such as the piano. 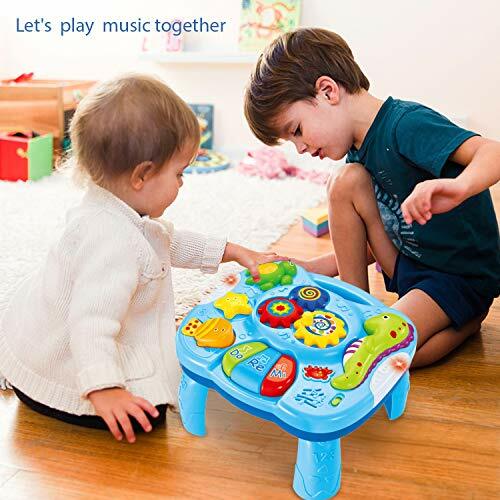 ♬【MUSIC & LIGHT FUNCTION】The middle of the table gear,there will have wonderful music for the baby to enjoy when Rotate the geart,a variety of music styles for baby to enjoy.Playing music at the same time will flash beautiful lights. ♬【SEA WORLD】There are seastar,fish and tortoise,you can hear the voice of these cute animals. 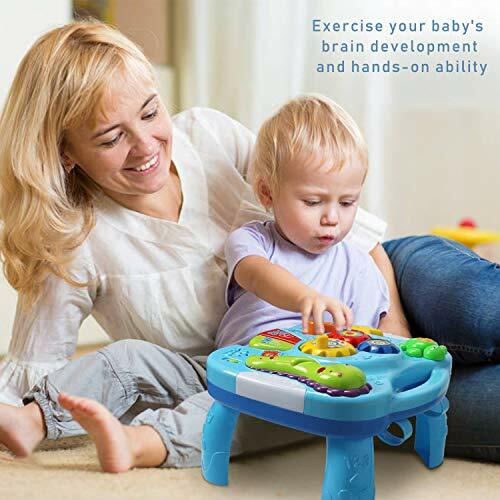 Allows baby to toggle from sound discovery to language discovery.There is also a beautiful Seahorse to play with your lovely baby. 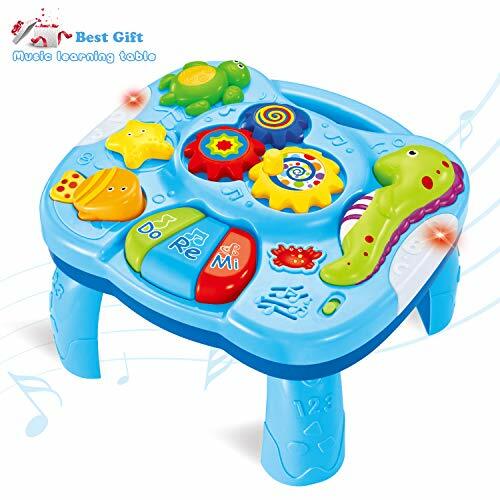 ♬【ENTERTAINING TABLE】Grows With Baby! Baby can start out when he’s sitting up,by playing on the floor.Later,add the legs,and baby will enjoy standing up to play.Legs are removable,so your boys girls can use it on the desk or standing play.Remove the legs,the music table can be tied on the bed for your little kids playing it.The tie rope have set with the board.It is hand-portable,little kids easy to carry it. ♬【GREAT GIFT& 90 DAYS Replacement Serive 】Made from safe and non toxic ABS plastic.Great gift idea for any occasion! 1.5V AA batteries required(not included).24 Month Long Time Warranty: 90 days Replacement service or Full Refund if you are not satisfied.